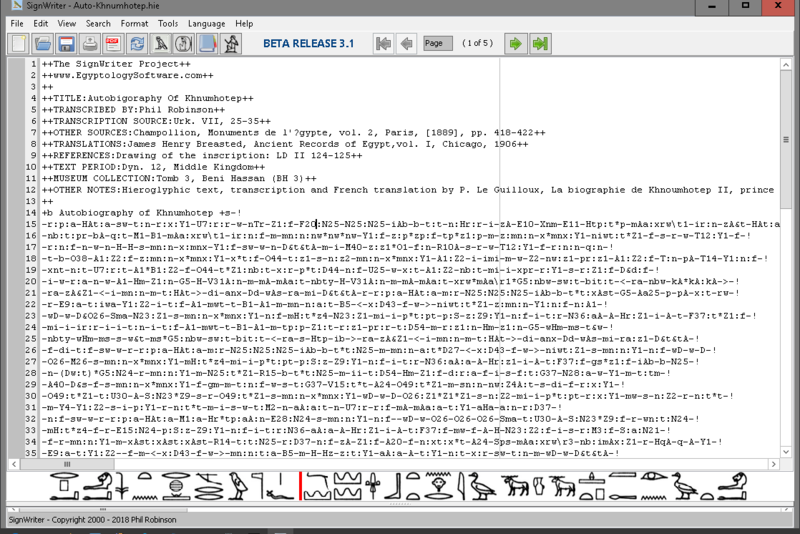 Manuel de Codage is a standard system for computer-encoding Egyptian hieroglyphic texts developed by a comittee formed in 1984 at the "Table Ronde Informatique et Egyptologie". The resulting manual was published in 1988; Manual for the Encoding of Hieroglyphic Texts for Computer-input (Jan Buurman, Nicolas Grimal, Jochen Hallof, Michael Hainsworth and Dirk van der Plas, Informatique et Egyptologie 2, Paris 1988). The SignWriter Software and Online Service are both based on the MdC system and use this extensively. In recent years the validity and usefulness of MdC has been examined but this project is continuing to work with and develop MdC as it suits the project goals well. As this project is continuing to support the MdC system we will be releasing some new MdC resources here shortly.